'Retirement Jobs' New Reality For Many A growing number of Americans say they expect to work well into traditional retirement years, a trend accelerated by the recession, changing attitudes and increased longevity. According to the Families and Work Institute, 20 percent of employees age 50 and over retired and then returned to the workplace. 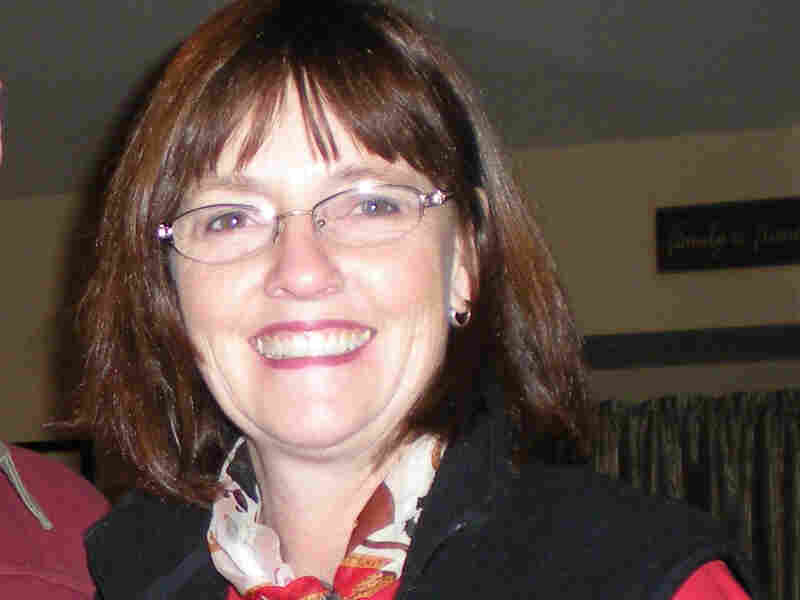 Kass Clark retired a few years ago after decades as a public school teacher, but she found the experience underwhelming, so she went back to work. A growing number of Americans say they expect to work well into traditional retirement years, a trend accelerated by the recession but also driven by changing attitudes and increased longevity. A new study by the Families and Work Institute (FWI) finds that 20 percent of employees age 50 and over officially retired and then returned to the workplace. Kass Clark of Marysville, Wash., did that. When she retired a few years ago after decades as a public school teacher, Clark found the experience underwhelming. "There are only so many thrift stores to explore and rooms to clean," Clark says. "And I felt like I was too young to just stay home." Still in her 50s, Clark also missed social interaction. So she found a part-time job with the local utilities department, teaching schoolchildren about electricity. "It's all the fun part about teaching and none of the report cards and conferences and staff meetings," Clark says. "So I'm not like, 'Ugh, I have to work.' It's, 'I get to work! It's really fun.' "
If I, in my 60s, am looking at another 30 or 40 years of expenses then it can't hurt to earn a little more money now. In Alexandria, Va., Dibby Johnson says everyone assumed she was retiring when she left a full-time job in human resources. But a few years later, she's back to part-time consulting and can't quite imagine a life of full-time leisure. Johnson enjoys the sense of self-worth a paycheck brings. And -- on a more practical note -- there's her family's history of longevity. "If I, in my 60s, am looking at another 30 or 40 years of expenses," she says, "then it can't hurt to earn a little more money now." "Career flexibility is the new normal," says Ellen Galinsky, president of FWI. Galinsky says FWI's new survey on working in retirement shows many retirees go back to work on different terms, for fewer hours, and end up liking their new jobs a lot better. "They will say things like, 'No more meetings, no more stupid politics,' " she says. They'll say "that I don't have to work for people I don't like. In fact, 1 out of every 3 people who was formerly working for someone else now is his or her own boss." The FWI study calls this a "retirement job." Co-researcher Marcie Pitt-Catsouphes heads the Sloan Center on Aging and Work at Boston College and says that not long ago, that term generated laughs. But "within five years, it went from being an oxymoron, really a contradiction in terms, to being language that we actually all understand what it means," Pitt-Catsouphes says. Pitt-Catsouphes says a striking 75 percent of older employees now say they expect to work during traditional retirement years. For some already doing that, it is not by choice and not at all what they had planned. 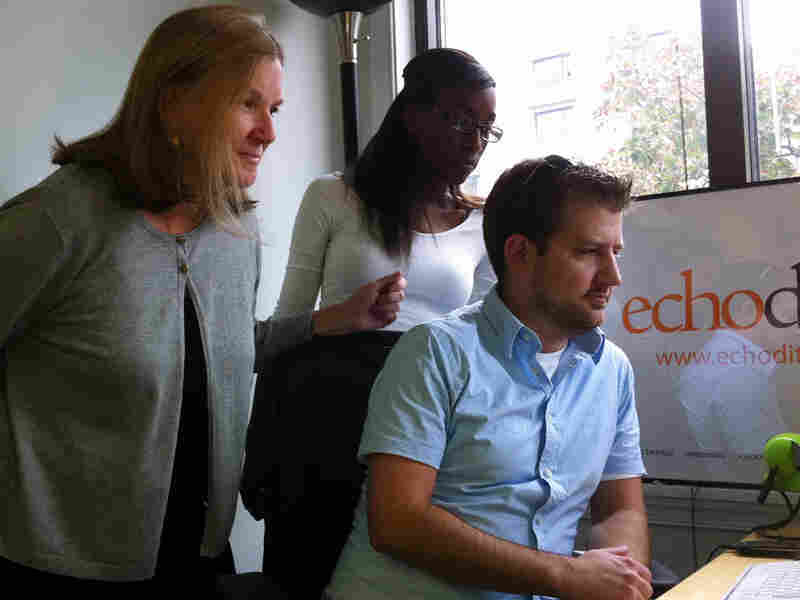 Dibby Johnson (left) with colleagues Justin Pinder and Dominique Hodo at EchoDitto, one of two of Johnson's current consulting jobs. "We had a camping trailer for a million years it seems, and [were] looking forward to Momma and I becoming old timers," says Jim Platt of Riverton, Utah. Platt and his wife were going to sell their house and spend winters in the southwestern desert, summers in Big Sky country. But just when Platt was about to retire in his mid-60s, his wife got lung cancer. He ran up $35,000 in debt while caring for her. Now, at 78 years old, Platt is slowly paying that down by working as a school bus driver. "I've started taking extra runs on the school bus for field trips to pick up more money," Platt says. "I'm just keeping my fingers crossed. So far I been blessed with very, very good health." More than half of those in the Families and Work Institute poll say they returned to work so they could retire more comfortably. Nearly one-fifth say they had to do it to make ends meet. In addition to paying down his debt, Platt is also raising a great-granddaughter, who's now 18. "She's looking for work," he says, "and we're getting a car running for her. You know, still playing daddy." Unless he becomes disabled or is laid off, Jim Platt says he doesn't believe he'll ever be able to stop working.